Joining us in the studio is the one and only Lazarus Lynch, also known as Son of a Southern Chef. 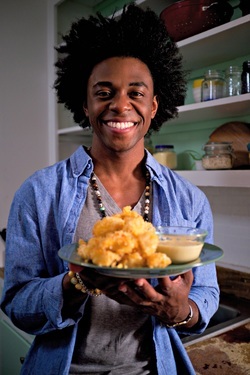 Lynch grew up living and breathing the food industry, and now works as a chef with a super active online presence (making YouTube videos to teach you how to cook miso honey ribs, Gouda macaroni, and fried okra. Episode 36 | Why would the co-founder of one of the top restaurants in the world move to NYC?